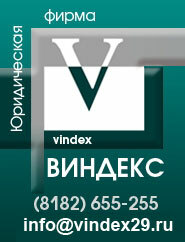 The Legal Firm "Vindex" was founded for rendering legal advices in Archangelsk in 1999. In Latin translation "Vindex" means "protector"; "representative"; "liberator". This meaning reflects specificity of the Firm in the whole range. Today the Legal Firm rendering legal advices not only in the North-West part of Russia, but also at other regions of the country. Hundreds of Russian and foreign companies (of different patterns of ownership), sole proprietors and citizens take advantage of our advices. 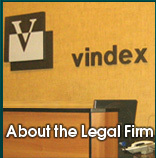 The Legal Firm "Vindex" is a universal company, which realizes legal accompaniment of different business-processes and projects, represents business-structures at different spheres of their economical activity. Qualified lawyers of different specializations is a basis of the Legal Firm. 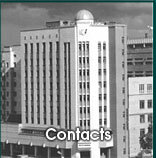 Our lawyers possess professional knowledge at fields of management, economy and finances. Their knowledge allows to solve a wide spectrum of our Clients' tasks. We offer qualified legal advices for matters of different complexity in main spheres of economy. The Legal Firm realizes a steady monitoring of changes at the legislation and enlargement of spectrum of rendering services in accordance with requests of the present. Monitoring of changes and enlargement of spectrum of rendering services helps our Clients to draw up their business at the right way: from choosing of patterns of ownership at the beginning and to the tax optimization at the end. Legal services are rendering by professional lawyers of our Firm, who have an abundant experience at different fields of law. We wish our Clients to see an interested business-partner in us, but not a formal executive of concerted acts. That all allows the Legal Firm "Vindex" to be considered as one of leaders of the market of legal services in the Archangelsk region and deservedly to compete in other regions. 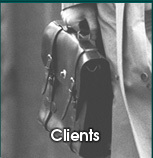 -	We confidently work at the legal services market for a long time. -	We have qualified lawyers of different fields of law. -	Your refer will be confidential. 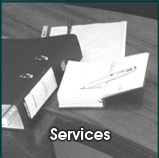 -	Our purpose is to render legal services of a wide spectrum, with maximum quality.